We would love for you to join the Terre Rouge and Easton family! 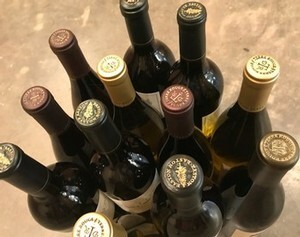 By joining one of our clubs or subscription service, you can stay connected with us and enjoy our wines all year long. We have something for everybody - premium selected wines, personal choice, and a simple subscription that can be gifted to yourself or friends and family. Our Grapeheads Club is a great way to experience the wines of Terre Rouge and Easton. We create 3 club packages a year filled with 4 small lot production wines, some exclusively for the club, and release them in Spring, Fall and Winter. This package will always have 3 reds and 1 white wine included.